This was the image that had graced Technical Researcher David Rosen's monitor when he had arrived in his office that morning. It was a calling card, informing him of his imminent annihilation. The image heralded the return of his predecessor, Patrick Gephart, great and powerful technical overlord and the former iron fisted ruler of the IT department. He had always known, in the back of his mind, that this day would come. He had always known it, ever since he had first accepted the position of "Technical Researcher" from Dr. Bright. On that solemn day, the doctor had offered him this advice: "Y'know, one of these days Pat's probably going to come back, murder you, and reclaim his position." And now, that prophecy hath come to pass. He recalled all the prestige that he had obtained with his position. It had earned him the admiration of his coworkers, who were always kind enough to give him their extra equipment. It was always obsolete or broken, and it took up most of his office space, but David felt it was the thought that counted. The senior staff were always so funny, giving him friendly wedgies and swirlies whenever he passed them in the halls. They even gave him his own title: "OFFICIAL TECH-DWEEB". Someone even had the generosity to put it on all of his official documents. All of this loving attention would soon be gone, replaced by the cold embrace of death's hand. Rosen began to ponder his imminent demise. Would Pat merely eviscerate him, or would he also disembowel him? How long would Pat torture him before delivering his final, fateful blow? Would Pat use David's entrails as confetti to celebrate his return to glory, or would he use his skull as a pencil holder as a warning to any future usurper? Just then, Rosen heard someone come into the hall outside his office. He knew the footwear on those feet that those steps were being taken with were Pat's. He knew because Pat's shoes always squeaked a little when he walked down this corridor. As Pat, who would soon be (with great personal satisfaction) filling out David's personnel file with the words, "Super Terminated" made his way towards the office, David began to consider his options. He did not have any firearms training and didn't own any guns, so he couldn't shoot back. His "sharp objects" were limited to some #2 pencils and a stapler with around 20 staples left. David was regretting not using those karate lesson coupons when the squeaky shoes of despair stopped outside his office door. David felt the warm liquid of fore-ordination flow down his legs as Pat's keys jingled in the lock. He knew they were Pat's because Pat's keys always jingled just so. Rosen knew that there were only moments before his untimely finality came upon him. There was no way out. Dr. Taylor, MD, was walking down the hall in his raincoat. He was wearing a raincoat because it had been raining, and Dr. Taylor always wore his raincoat and boots when it rained. Hell, he even wore his boots when it wasn't. He was in this particular hall on this particular day having played the ultimate prank on a certain Technical Researcher. Taylor loved pranking Rosen, as did most of the other personnel on site. Rosen always gave them grief about stuff like not deleting the system32 folder and how certain things weren't cup holders (even when they totally were), so pranking him was the best way to let off steam and get revenge for the pestering Rosen did, especially on April Fool's Day. But Taylor had pulled the prank to end all pranks. Rosen, the most paranoid person on the site, would be a neurotic mess for weeks, and it was going to be great. Taylor tried David's office door. Locked, as usual. Was that whimpering? This'll be great. Taylor felt the lock catch. He entered the office. Technical Researcher David Rosen's doomed window exploded into infinitesimal shards as he lept out in the most dramatic action of his life. Description: On 4/1/2012, I found Technical Researcher David Rosen unconscious outside his office window. He was covered in glass, probably from the window, which had been broken. He had suffered major cuts and bruises from the impact and shards of glass. When I woke him from unconsciousness, he began ranting and raving about the return of someone called "Pat, the harbinger of brimstone and darkness." He did not respond to further questioning, only stating that this Pat would "DESTROY ALL THOSE WHO STAND OPPOSED TO HIM" repeatedly in an agitated manner. I admitted David to Site Clinic 22-B for treatment of lacerations, cranial trauma, and a sprained ankle. Addendum: I am personally recommending that David be put on some anti-stress medication and be given a weekly counseling session. 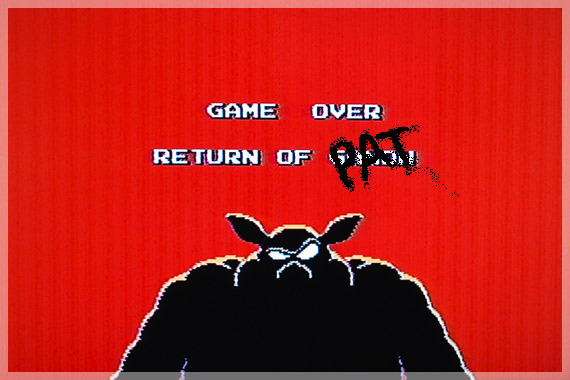 Try to convince him that Pat might not come back.